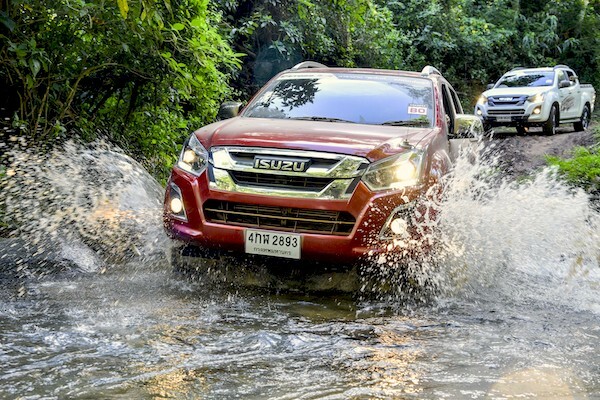 The Isuzu D-Max is the new best-seller “at home” in Thailand. The Thai new vehicle market ends four consecutive years of decline with a robust 13.4% year-on-year gain in 2017 to 871.647 registrations, more than 100.000 units above the 2016 result. Brand leader Toyota however drops 2% to see its market share reduce drastically from 31.8% a year ago to 27.5% now. Isuzu on the other hand only slightly trail the overall growth at +12% resulting in a stable market share at 18.4%. The next five best-selling carmakers all frankly outpace the market: Mitsubishi (+26%), Nissan (+40%), Ford (+37%) and Mazda (+21%), with Chevrolet (+26%) and Mercedes (+21%) also impressive inside the Top 10. 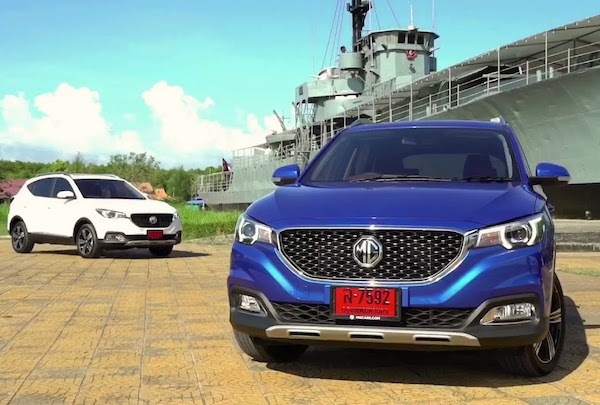 Chinese local producer MG remains at #12 but surges 44% and breaks into the Thai monthly Top 10 for the first time in October and December when it smashed its volume and share records at 1.928 units and 1.8%. Volkswagen (+365%), Kia (+57%), BMW (+39%) and Hyundai (+30%) also post spectacular gains. The Toyota Hilux is beaten for the first time since 2005. The big event in Thailand in 2017 is to be found in the models ranking: a very momentous move in what is commonly called the “pickup factory of the world”, the Isuzu D-Max dethrones the market’s long-term leader, the Toyota Hilux, in a frank victory. With sales up 11% to 134.000, the D-Max builds a 24.000 unit-advantage over the Hilux down 9%. The D-Max dominated through the year, with the Hilux only managing a #1 ranking in February and December. This way, the D-Max ends 11 consecutive years of Hilux reign: the last time the D-Max held the Thai crown was in 2005. 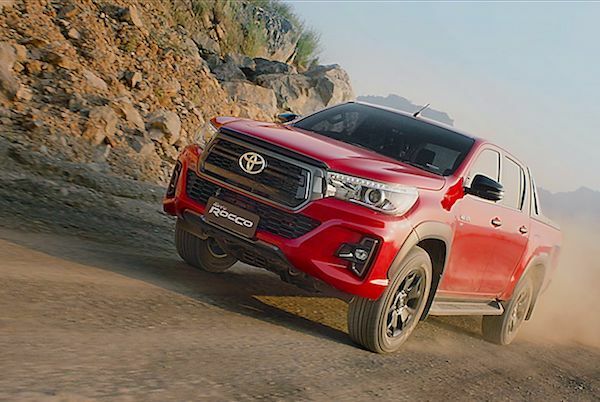 This victory is all the more significant as it comes as the Hilux benefits from a totally new generation launched in 2015 while the D-Max now dates back to 2012 in its current form. MG cracked the Thai Top 10 twice in 2017. Thanks to deliveries up 44%, the Ford Ranger steps up one spot to land on the podium, making it 100% pickup, while the Honda City soars 32% to take the lead of the passenger cars ranking, another segment lost by Toyota this year as the Yaris (-17%) splits up into two variants with the arrival of the Yaris ATIV peaking at #3 in October and the best-selling new launch for 2017 at #18. The Mitsubishi Triton advances 38% to break into the Top 5, followed by the Mazda2 (+37%) as the Honda Civic (+23%) also impresses and the Honda Jazz (+12%) break into the Top 10. Below, both the Nissan Navara (+15%) and Chevrolet Colorado (+32%) outpace the market in an excellent year for pickups. The Nissan Note lands at #28 and the MG ZS at #57 but was already in the December Top 30 for its first full month of sales. The MG3 for its part peaked at a record #22 in April, the highest ranking ever hit by a Chinese nameplate in Thailand. Full Year 2017 Top 35 All-brands and Top 75 models vs. Full Year 2016 figures below. Full December 2017 Top 25 All-brands and Top 70 models below.